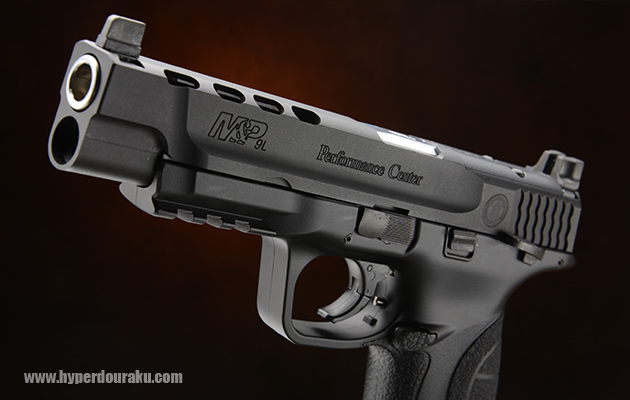 *All Tokyo Marui gas guns may only use HFC134A (Duster Gas) as the intended gas. Using any other gas will void all warranty. 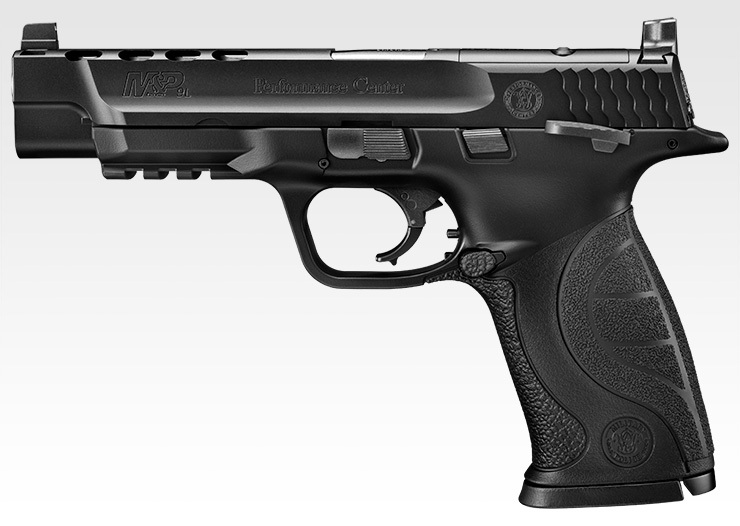 Smith & Wesson M&P9L PC Ported is a robust gun, which is named after the real gun which is aimed for Mil / LE use (M & P = Military & Police). 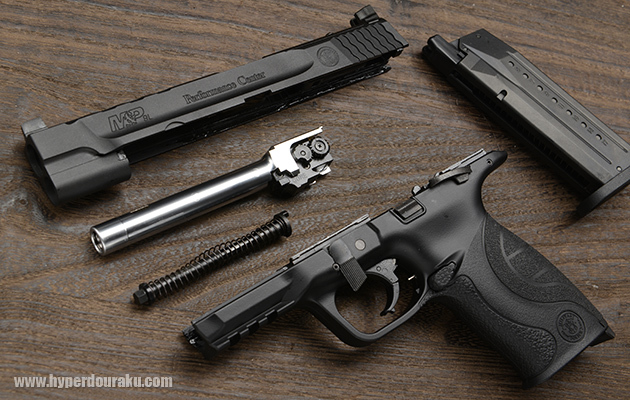 L PC Ported means competition ready 5" barrel, slide slot for Marui Micro Pro sight and ported slide and barrel for recoil reduction. 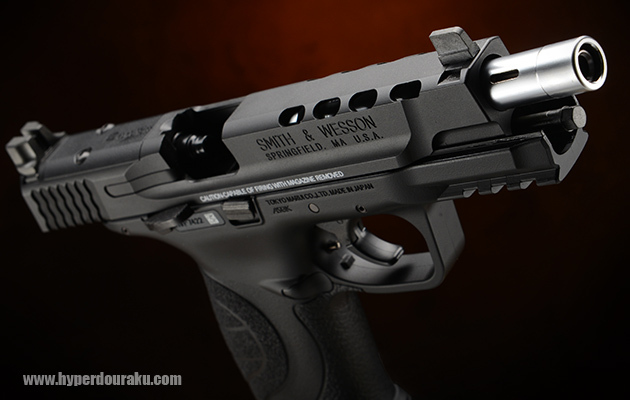 Intentional design means a robust design, matte parts and good firearm ergonomics. In addition, the moving parts of the weapon are designed so that they come as little as possible out of the gun's flat surface to interfere with the use of the weapon. 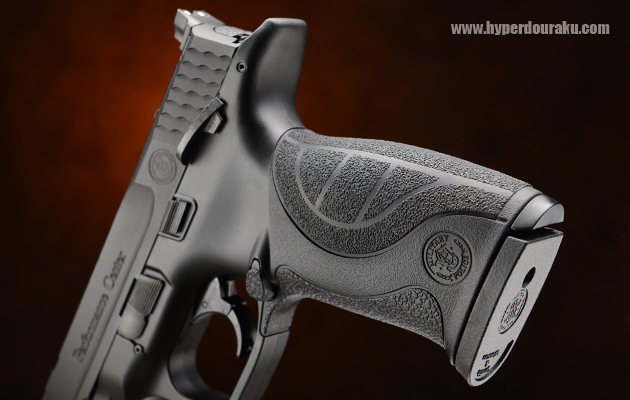 The pistol has a sturdy, roughened pistol grip that gives a good grip. The pistol grip can also be customized with three separate pieces that are delivered with the gun making it bigger or smaller. 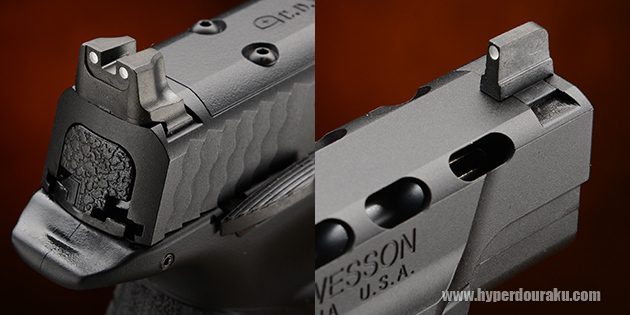 Serations at the back of the slide allow easy loading and safe use of the weapon. 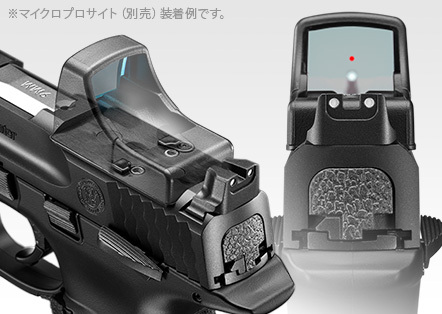 Fixed sights are equipped with white points to make aiming quick and easy. 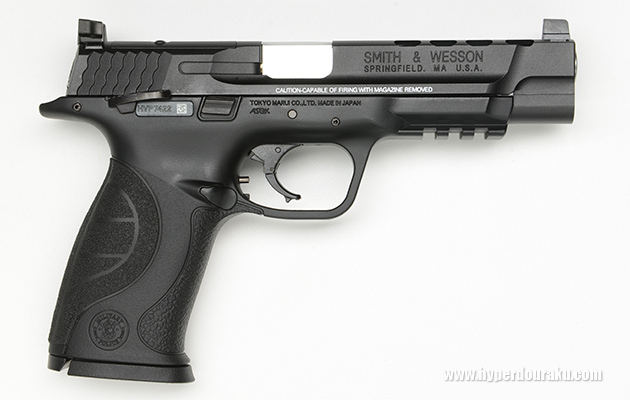 The weapon has a rail beneath the barrel, where a laser or a lamp can be attached. 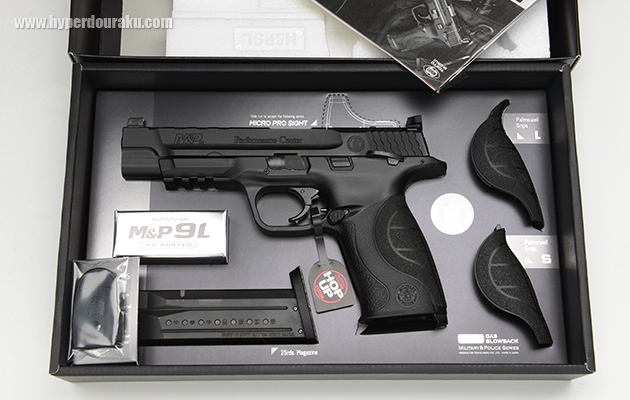 The gun has a good quality plastic slide and lots of metal internal parts. 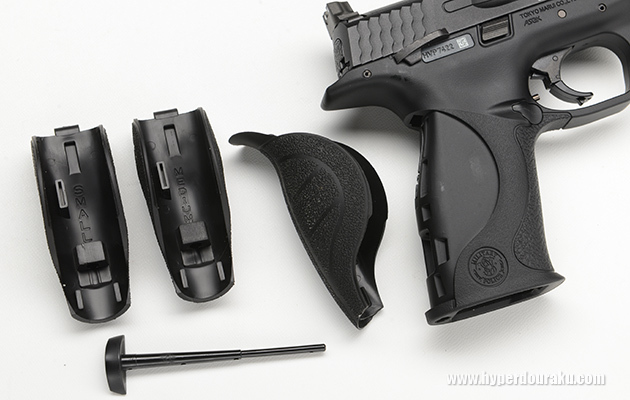 These features combined to the ASB plastic bottom frame make the gun secure and stable. Blowback is snappy and realistic and the slide remains in the rear position when the magazine runs out, just like in the real weapon. This gun is an idea base for anyone who is shooting Standard and Open Division! 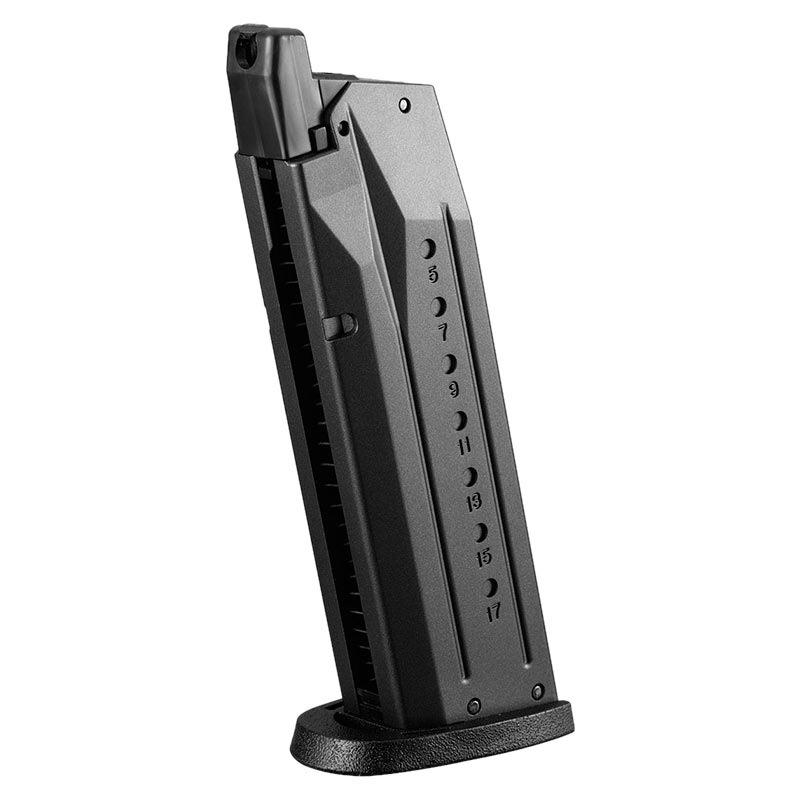 Magazine Compatibility - TM 25 Round SW M&P9 magazine.